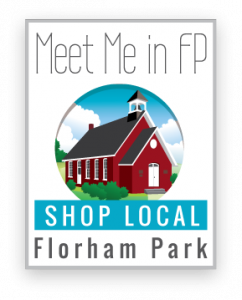 Welcome to “Meet Me In FP” your online resource for local professionals and businesses in the Borough of Florham Park. Florham Park has many local businesses ready to serve you and your family. The local businesses are a huge part of what makes Florham Park such a great community. This directory of businesses has been designed to give our community one central place to find all of these great local places to shop, eat, bank, etc. The information contained below is an initial list of 100 businesses in town and is not intended to be a complete list. To have your business added to Meet Me In F.P. website, please click HERE for an application. Applications may be sent via email to: info@florhamparkboro.net or U.S. Mail to: Sheila Williams, RMC, 111 Ridgedale Avenue, Florham Park, NJ 07932 or by Fax: 973-377-5749, Attn. Borough Clerk. Florham Park Camera, Digital, T.V.